Nestled within a prime location, this residential enclave gives you immediate access to a long stretch of pristine beach and boasts of delivering more than just the typical top-notch amenities. Leisure, entertainment and recreational attractions abound in this waterfront community including a cinema, & brand new waterpark with a dedicated surf park, as well as a plethora of retail and dining options. A wide array of other lifestyle enhancing amenities will also be at your disposal for that much-needed change of pace whenever you please. 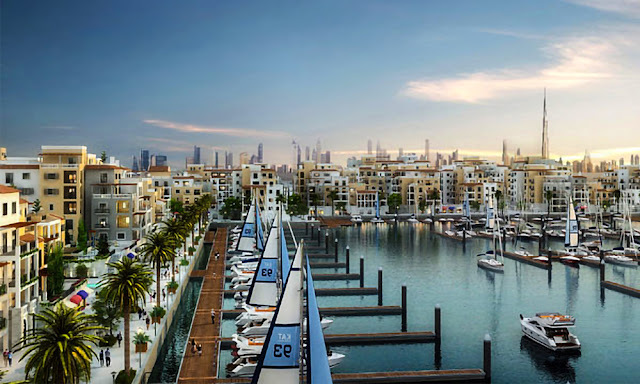 Take advantage of easy payment plans and experience premiere resort-living in one of Dubai's sought-after waterfront destinations.